Here are some of the many free court reporting services we offer as a thank you to our Barrett reporting customers. For as long as the reporter is utilized and a transcript is produced from the deposition scheduled at that location. 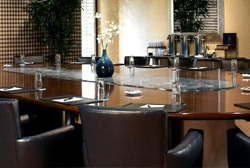 Comfortable deposition-friendly conference suites, many equipped with wireless internet access. Tell us where you need it, and we supply the address. It’s that easy! You just got a free conference suite! When you utilize both reporter and videographer from Barrett Reporting. Review transcript and video together on one screen. Word-search transcript and video simultaneously. Export clips to PowerPoint for trial presentation. A simple, easy-to-use web-interfaced repository. CD included with every certified transcript, also contains exhibit scanning. Print full or condensed transcript or word index. Easily imports directly into any litigation support software. Call Barrett Reporting, the “Emergency Experts,” and relax. Our scheduling department can cover most all requests. Reporters love to work with us because we are consistent and fair. More reporters available means quicker response for you. Let us provide the best reporter for you.